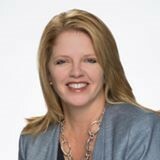 The MPO is excited to welcome Cindy Stuart as its newest board member representing the School District of Hillsborough County. Transportation is a big issue for Hillsborough County Schools. The District transports 94,000 students on a fleet of 1,400 buses! With other agencies operating major modes of transportation represented on the MPO, it only made sense to include the 8th largest school district in the United States. Added as a voting member after signing the amended Interlocal Agreement for the Creation of the MPO in August 2015, the School Board selected Cindy Stuart to represent them. Already doing her homework, she attended several MPO meetings this year. Mrs. Stuart also represents the School Board on the Glazer Children’s Museum Board, SERVE, and is an alternate on the Florida School Boards Association Board of Directors, Hillsborough Education Foundation, Juvenile Justice Board, Circuit 13, and the Value Adjustment Board. At her first official MPO meeting October 6th, Mrs. Stuart thanked the Board members for pushing to add a School Board member, stating “We have a significant interest in transportation in Hillsborough County.” She looks forward to creating partnerships to provide better transportation options for students and the entire community. And we look forward to the educated perspective she will bring to the MPO Board!